Edhat is a great place to get news from/about your community. It's fast, free, and fun. It's a place where you can talk with your neighbors, tell others about community happenings, find out about the latest events, and share your love of the place you live. It's kind of like a big online neighborhood block party. 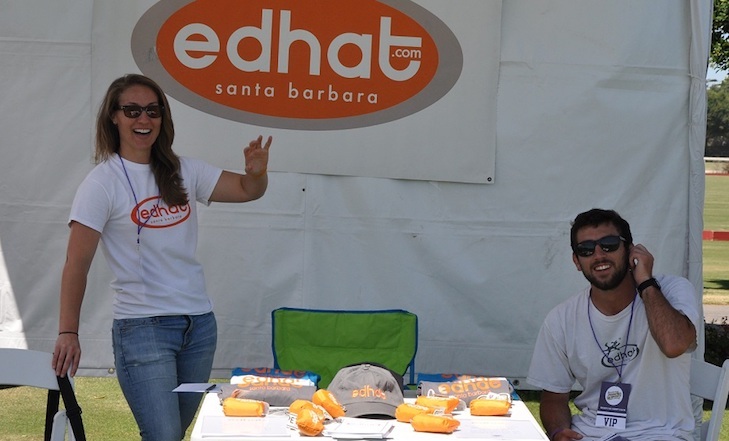 Edhat is a privately owned company located in Santa Barbara, California. It first started publishing in November, 2003 by Peter Sklar. Today, edhat is still independently owned by a long-time employee. Edhat has no political affiliation, no corporate funding, or any outside influence. Its goal is to make the world a better place by bringing people closer together, and getting them more in touch with the community in which they live. I read the newspaper. Why would I want to do this Edhat thing? Edhat is much more fun and more useful than a newspaper. Not only does Edhat have the most up-to-date information possible, but it also has more interesting content. The content on Edhat is determined by the subscribers who send in tidbits and comment on articles. Since the Edhat staff writes very limited articles, only the articles that people in the community feel strong enough to write about get published. Got a pretty or informative picture to share? Go to a great event last night? Write it up and Ed will publish it. For breaking news, you can read it straight from the public agencies who send it out. And when the information is thin, Edhat subscriber pipe in and file in the details with their first-hand observations. Why do I need a handle? What is a handle? A handle is a name you choose to identify yourself on the site, a username. Think of it as your special Edhat login name. Why doesn't my name or handle show up when I write a comment? One of the advantages of being a paid Edhat community member is that you get to identify yourself on the Edhat comments board with your handle and a cool colored banner of your choice (see some examples here) Unpaid community members have their comments identified by their handle/username in a grey banner. How do I pay for a Community Membership? You can pay for Edhat here. There are many benefits beyond colored banners and t-shirt discounts. Members have access to our frequent free ticket and other cool stuff giveaways. They don't see flash pages when they click to articles from the newsletter, and they have the privilege of knowing they are supporting a great source of community information and discourse. The answer probably lies in our comments policy. Still wondering? Cut and paste your comment into an email to ed@edhat.com and we will explain. Can I change my handle or email? How do I send you my news? Submit a news flash here using our convenient online form, or just email your news to ed@edhat.com. Be sure to specify the city or area where your news is happening. There are also many other ways you can participate --- writing Op-Eds, posting pictures, commenting, etc. Here is a link giving you more detail on this and more. Who is picking the news links? How do I submit a referral question? Email it to ed@edhat.com and the dedicated staff will post it. How do I post an event listing? Login to your edhat account, select the "Events" tab at the top of the menu bar, and select "Submit an Event." Be sure to specify the date, time, and place of the event, as well as whether or not it is free. Do the photos need to be a certain size? What if I want to place an ad? Get more information about advertising here. Edhat offers a variety of packages and options for advertising. If you have questions, email us at ed@edhat.com. The daily newsletter is a collection of all of the news links that were posted on the Edhat site the day before. Newsletters are specific to your community. They are mailed out once a day, and they are free. Where do you have sites? 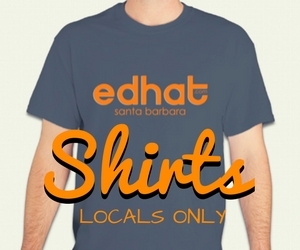 Previously there were Edhat sites in Santa Barbara, Ventura, and San Luis Obispo. Right now we're focusing on just Santa Barbara but have plans to expand. Think an Edhat would do well in your community? Email us and let us know! The Edhat mission is just to provide citizens with as much relevant local information as possible from as many different voices and perspectives as possible. We also strive to facilitate community conversation, and provide levity and fun. There is no political agenda. We do not make candidate endorsements, and the only op-eds on our site are contributed by community members. Is there really an Ed? Yes. He is the boss. Where did the name Edhat come from? One subscriber suggested that the name came from "Every Day Happenings Around Town". But we are not saying if that is true. How does Edhat make money? Edhat earns revenue from advertising and subscriptions. What if I have a question you didn't answer here? Email ed@edhat.com. We'll help you out.